Remember when I said that last month’s PopSugar Must Have Box was my favorite and before that the February PopSugar Must Have box? The April box is giving March a run for its money. How do these keep getting better and better? 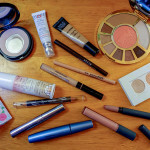 If you’re unfamiliar, PopSugar Must Have is a monthly subscription service where you receive a selection of full size and premium beauty, fashion, home, and fitness items for $39.95 per month (this includes shipping and is available in the US only). 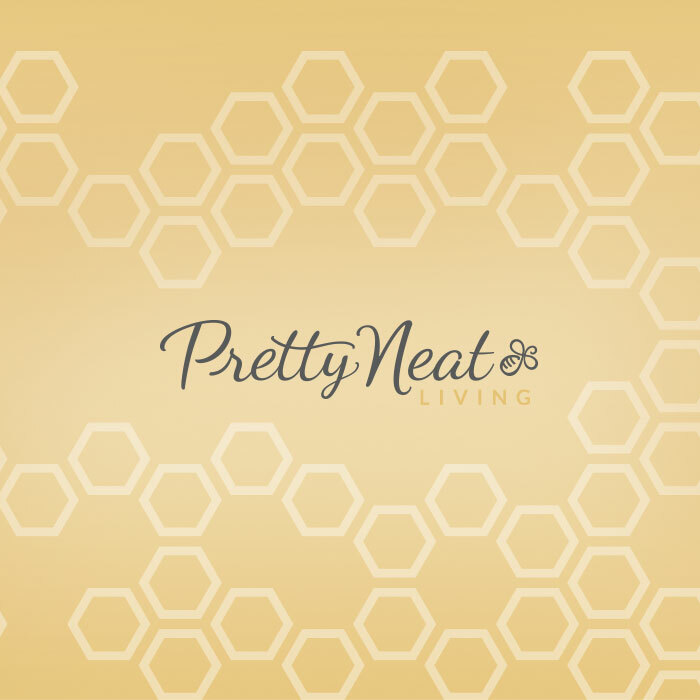 This month’s theme was all about spring, which is “a time to think about getting outside, cleaning house, and going green.” I love how well-rounded the products in this box are, which includes a nice variety of items for yourself and your home. What’s in my April box? ✻ NatureBox PopSugar Must Have Mix – I love how PopSugar always includes yummy treats and snacks! This snack mix made exclusively for PopSugar is an all-natural snack. I am intrigued by the NatureBox subscription service, which includes healthy snacks mailed right to your door every month. The company donates a portion of their proceeds to FeedingAmerica, which helps fight hunger in the US. ✻ Caldrea Rosewater Driftwood Hand Soap – This hand soap has a beautiful, soft floral scent with a subtle cedar undertone. I’ve seen this brand around but have yet to try their products. ✻ Graphic Image Pocket Notes – This gorgeous leather notebook is the perfect size to pop in your bag to use for notes or as a journal on the go. The silver edged pages are a nice touch! ✻ BlueAvocado (Eco) Shopper – I am in love with the beautiful rose print on this foldable resuasable tote bag, which is a special edition design by Lauren Conrad. The padded case of the bag turns into a structured base when unzipped, which gives it a bit more sturdiness than other foldable shoppers. ✻ Too Faced Natural Eyes – This gorgeous eye shadow palette was one of the first beauty items I ever purchased years ago. They have since redesigned the packaging and edited a few of the shades and the result is a gorgeous and portable neutral palette that is perfect for travel. This is a great addition to any makeup collection! Check out my other PopSugar post featuring the Resort Special Edition box for more PopSugar goodness! I will be back next month to share my favorites from my March box as well as a look at June’s goodies. Click here to learn more about the PopSugar Must Have Box. Use code REFER5 to save $5 off your first box! 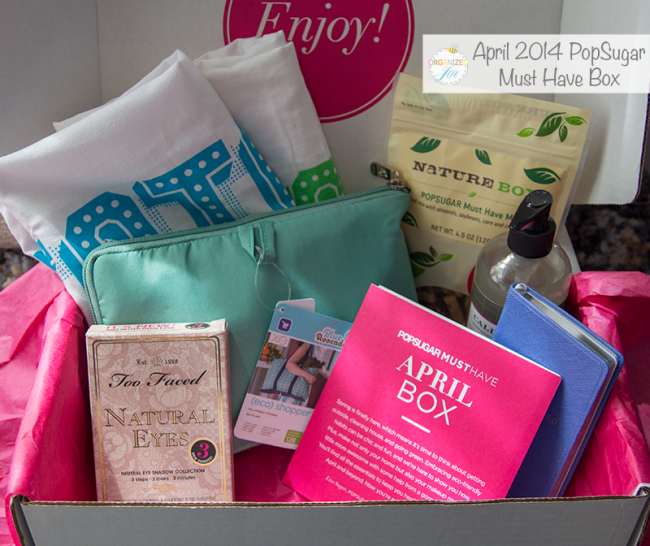 I totally agree, Jen, the PopSugar box just keeps getting better and better every month! I was SO excited when I opened this month’s box! As always I love the unboxings. I subscribe to a few as well and it is fun to see other peoples views on the boxes. One criticism and this may just be me. I view your videos on your blog not youtube. When I come to your site like today I have to scroll through the pictures of whats in the the box before watching the unveiling on your video. It kinda ruins the suprise of the unboxing. Perhaps you could put the pictures below the video? Hmm, I hadn’t thought about that. I will try that out next time! I got this Pop Sugar box for 50% off. It was a just once splurge for me, because I really, really wanted that eye shadow, and couldn’t resist at half off. I was curious: were you able to refold your tote bag easily? I haven’t opened my tote yet. Thanks! Ooo can you confirm the colours are different in the new Too Faced Natural Eyes palette? I had a quick look when I saw the sleek new packaging and the colours had the same names, so assumed it had just been repackaged. I love my old one so would definitely get the new one if it’s different! We love nature box at our house! I really like how you can choose what you get. They have some seriously yummy snacks. I loved this video ! 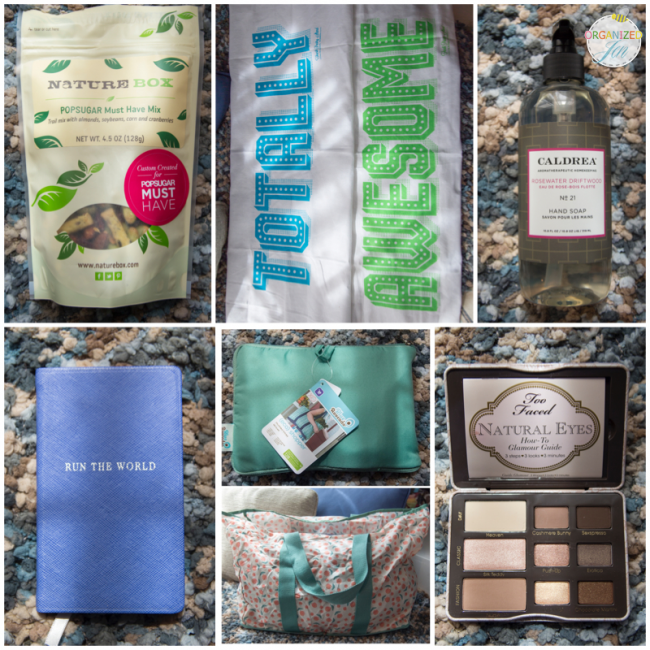 The April Popsugar box is awesome. I would be the happiest girl in the world if I ever had a “Christmas” like what’s in that box. I liked everything. Thanks for sharing and I hope you have a fun weekend.